SEP 15 (WTN) - In the case of Vijay Mallya, Congress president Rahul Gandhi has made a ‘big allegation’ today, since then there has been a stir in the country's politics. Congress president Rahul Gandhi has tweeted, accusing the Modi government of making serious allegations, in which he has written that a favorite CBI official of Prime Minister Narendra Modi weakened the lookout notice against Vijay Mallya, due to which Mallya managed to escape from the country. Not only this, Rahul Gandhi has written with a big allegation in his tweet, "The same officer was in charge of Nirav Modi & Mehul Choksi’s escape plans. For your information, let you know that the Congress president had said yesterday that it is beyond the understanding that without the permission of Prime Minister Narendra Modi, in the larger case such as Vijay Mallya's foreign expulsion, the CBI would have changed the lookout notice. Let you know that Vijay Mallya, a fraud of 9000 crore rupees, had said in London that he had met finance minister Arun Jaitley before leaving India, and he had offered settlement with banks, although Arun Jaitley dismissed the Mallya's claims. Rahul Gandhi has written a personal name of a CBI officer in his tweet, since no statement has come from the Modi government. Rahul Gandhi is targeting the Modi government every day in the case of Vijay Mallya. It is being said that till the Lok Sabha elections, Congress will take up the cases of Vijay Mallya, Nirav Modi and Mehul Choksi with a lot of enthusiasm so that the people of the country can be explained that there is mistake of the Modi government in escaping of three people accused of bank fraud. 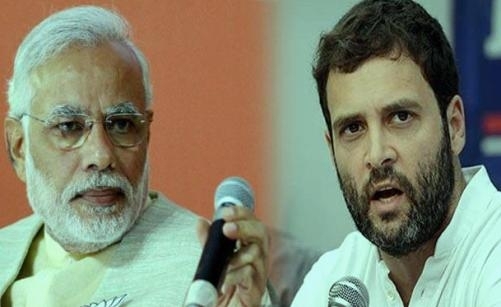 If the Modi government doesn’t answer Rahul Gandhi's questions on time, then it may be that the BJP has to suffer in the Lok Sabha elections due to negligence of Rahul Gandhi’s questions. It seems Rahul Gandhi keeps on throwing the issue of these three fugitives everyday under a thoughtful strategy to keep Modi government on back foot.